Move away from incomplete Excel files and be updated on asset statuses in real-time. Know which assets are available at the blink of an eye. View where assets are and what they are doing at all times. Avoid endless email threads or Excel files to plan for maintenance. Save time and enable people to act by informing all your stakeholders about alerts in real time on one shared platform. 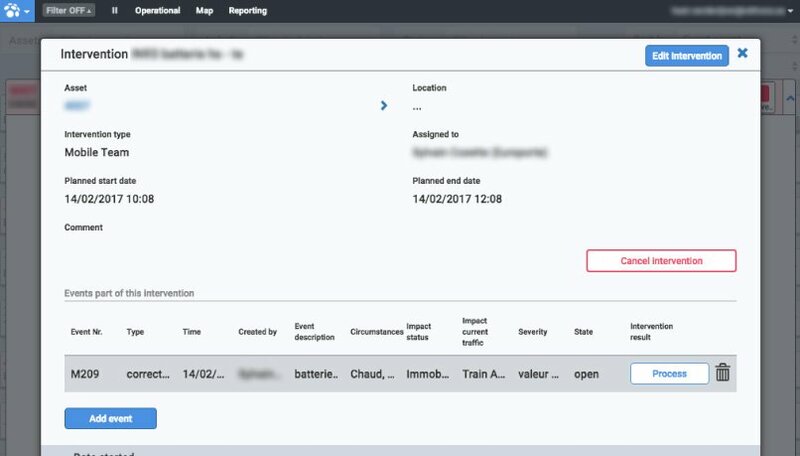 Turn alerts about abnormal behaviour on rolling stock into maintenance interventions. Allow teams on the ground to act faster and to better prepare by sharing the interventions with them. Keep track of all planned maintenance events and defect reports, edit and follow up on interventions in progress, or review past interventions, all on the same platform. Get rid of endless email threads and incomplete Excel files to manage your operations and maintenance. Digitalise all fleet actions with Railfleet. 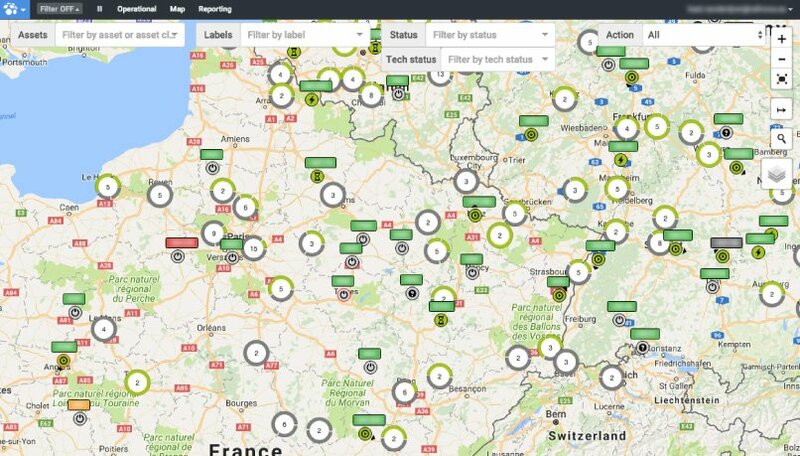 Locate and search any asset directly on the Railfleet map, or filter the map by asset class or train status. See where the fleet is running, and where it is idling with the Railster GPS. Personalise points of interest such as traffic ends, workshops or fuel stations to reroute trains efficiently in case of an incident. Customise geofencing alerts to be informed automatically about changes. Change the operational status of an asset to “operational”, “degraded” or “immobilised” and inform your colleagues and stakeholders of any changes. Everyone is always up to speed, as the modifications to the operational status are immediately visible to all those concerned. Keep track of any restrictions on your assets and inform drivers and other stakeholders about new ones. Add and remove restrictions on the operational dashboard in just a couple of clicks. Know which assets can be used when and where at any given time. Defect reports correspond to corrective events that need to be performed during a maintenance intervention. 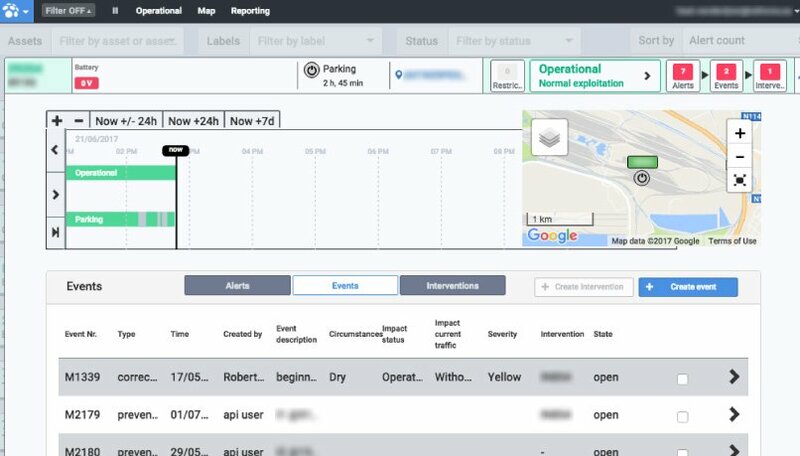 New defect reports will be shown on the operational dashboard and can be bundled into one or more maintenance interventions. 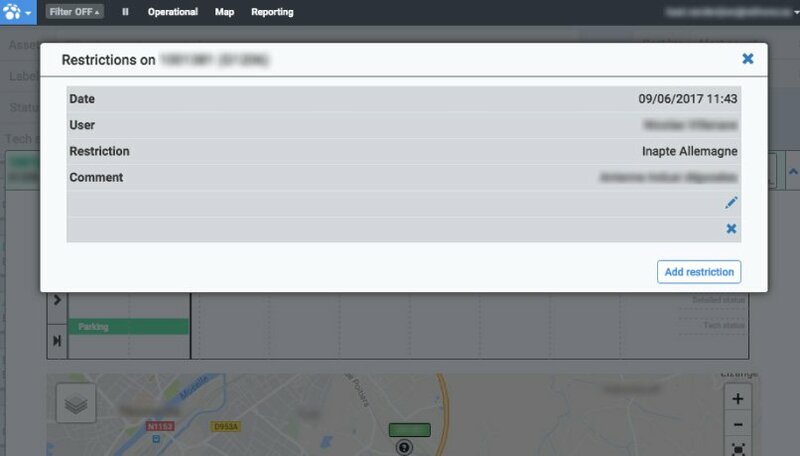 You can also automatically inform colleagues or partners about new defect reports via email. Whenever a problem occurs on your rolling stock you’ll need an efficient way to inform your maintainer and plan an intervention. On Railfleet you can easily send automatic notifications to your maintainer when you create a new defect report or plan a new intervention. This way all parties can properly prepare for the maintenance. Get rid of endless email threads to plan a maintenance intervention, and easily schedule your interventions on a shared platform instead. Streamline communication with your maintainer from start to finish. Exchange and gather internal knowledge on a continuous basis. Allow your stakeholders to easily manage ressources and maintenance schedules by connecting your ERP and maintenance management systems to Railfleet via our API. Share asset data and relevant notifications with your stakeholders so they can access it at all times. Avoid time-consuming processes or information getting lost due to chaotic multi-channel communication. Get rid of incomplete Excel files, endless email threads and constant phone calls, streamline maintenance communication with all stakeholders on a shared fleet management platform. We take security seriously. You access our cloud service trough SSL/TLS encryption. Each of our clients has a separate database which is regularly and safely backed-up. M2M telematics data transmitted by the Railster is encrypted. You set the permissions for every Railfleet user. Only trained super-users and administrators can delete data and change permission rights. Railfleet can be interfaced via standard web services to your in-house database, ERP, asset management software or data warehouse. 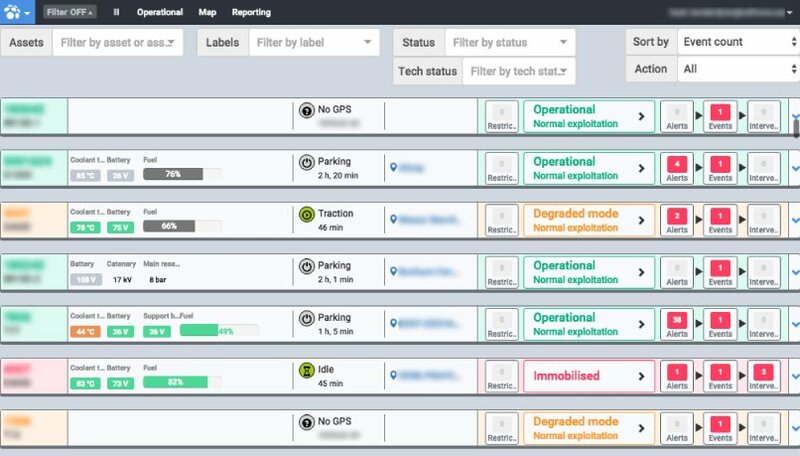 Let fleet data flow automatically into your IBM Maximo, Mysql Server, .Net, Oracle or SAP system. You will benefit from a seamless integration within your in-house IT architecture. Benefit from a large selection of railway specific modules edited by Railnova. As your needs evolve over time, we activate new modules in a smooth and integrated fashion. Get the best in rail geolocation, predictive alerts, availability management, preventive maintenance planner, component counters, component tracking, and much more. Need a special application integrated in Railfleet? Thanks to the modularity of our Railfleet Platform, it takes up to 10x less code to write custom applications. By using high level, modern languages such as Python, we can write the application and let you test it in a few days rather than writing lengthy specifications. Describe the functions you need and let us do the rest. 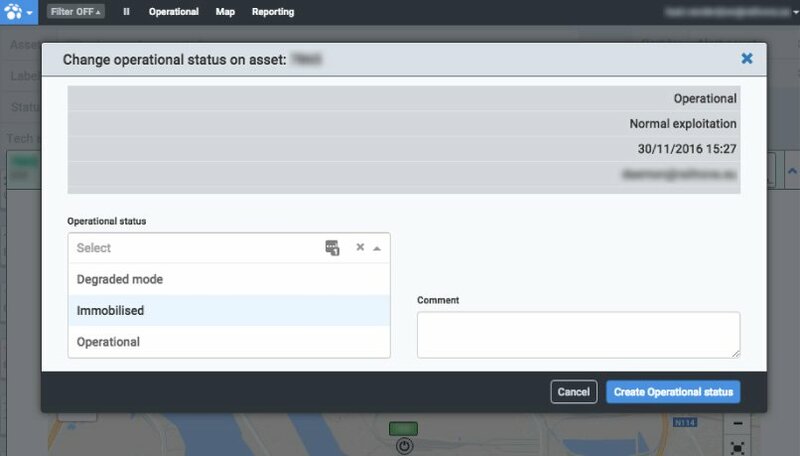 Safely share asset and fleet data with your stakeholders: let clients know when their goods arrive in a certain zone, or help maintainers prepare for maintenance interventions with real-time data or live alerts. Keep full control over your data at all times: define who has access to which data for how long and which actions they can take.